Danny Williams says the condition of the track will decide if Don’t Give A Damn races at Randwick. Danny Williams is looking to split two of his best horses between states on Saturday, provided the Randwick track dries out. 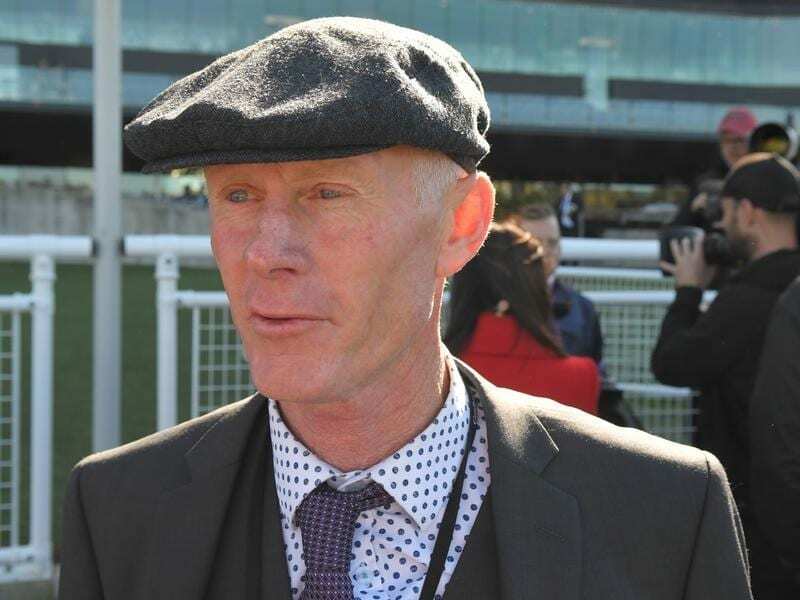 The Goulburn trainer has She Knows in the Group Two Caulfield Sprint in Melbourne while Don’t Give A Damn will back up from his performance in the Kosciuszko and into a 1400m race in Sydney if the track improves from its heavy rating. “He’ll certainly run if the track’s in the slow range but any worse than that he won’t run,” Williams said. “He just struggled to get through the ground the other day being such a big striding horse. “I wouldn’t have even thought of running him had I been concerned about the horse, but surprisingly he’s eaten very well, he’s very bright in himself. Don’t Give A Damn was among the top fancies for the $1.3 million Kosciuszko last weekend, finishing fourth despite his dislike for the testing ground. Williams said the horse would have one more run in Sydney before joining She Knows in Melbourne where he would be targeted at a race during the Flemington carnival. Adam Hyeronimus, who won the Kosciuszko on Belflyer, has been booked to partner Don’t Give A Damn on Saturday while Corey Brown will be aboard She Knows. She Knows was also in contention for a Kosciuszko slot but Williams opted to save her for Caulfield where she will tackle stakes grade over her pet distance of 1000 metres. “She deserves her chance. She’s been very consistent and if you have a look at her form there are horses there who have gone down to Melbourne and performed well in Group races,” he said.